When it comes to shipping your car for enclosed auto transport, you may want to make sure you have the right insurance for your your car. Enclosed auto shipping is usually used for high end cars, and even collectibles due to how much it costs. On the other hand enclosed shipping can be used for all sorts of vehicles. If you’re considering having your car shipped, you may want to have a checklist about the type of insurance coverage for your vehicle in case any accidents happen along the way. How Much is the Carrier Responsible For? The carrier is usually responsible for only accidents caused by neglect, and not for acts it didn’t see coming. In order to make sure your car is covered by the current insurance it may have. You will have to speak to them about the value of coverage should your car be damaged during transport. Most of the time you may have to go with a value coverage company that specializes in collector car insurance before you transport your car. In What Event Should I have Coverage for My Car for it’s Enclosed Shipping? If your car is a collector’s item and you want to have it shipped by enclosed shipping. It’s best to discuss it with your carrier first. You also want to make sure you have the insurance for your car in hand before you have your car shipped. If you do not have the insurance beforehand when your car is shipped and there’s an accident. You will not be covered for the accident. Be sure to talk to your carrier about shipping your car and the steps to take about the routine to follow. Once you have your insurance in hand you can set the date to have your car shipped. 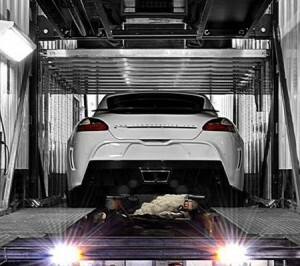 What Should I do to Make Sure My Car is Shipped Safely, Even if it is Insured? If you’re already picked out the insurance to cover your car in the event something goes wrong while it’s being shipped. 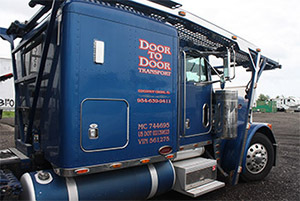 The next step is to take a few precautions to make sure your car can be shipped safely. Insurance companies will usually fight for every penny, even if it’s owed to you. So making sure you’re end is covered before shipping is very vital to make sure you receive your coverage in case your car is damaged. Check your car over to make sure it’s completely clean. This can help to avoid any damage claim problems you may experience in the event your car is damaged during transportation. So be sure to clean out the interior of your car of any loose items and to make sure the outside is clean as well before shipping. Be sure you do an inspection of your car as well and check with your carrier to see if you can do anything else to make sure your car is shipped safely. If you feel your car may be suffering a mechanical problem, be sure to have a experienced mechanic check your vehicle out before shipping it. If there is anything special about your car that a normal car would not have. It’s best to provide the person who is handling your car with written instructions about everything they may need to know about it. This can include how to run and start your car, alarm instructions, hidden switches, and even fuel cut off switches. This will make it easier for the person handling your car from damaging it, and create a smoother shipping experience for everyone involved. Only leave the tank of your car half full and don’t charge batteries so you can avoid any additional fees when it comes to winching. Double check your antifreeze is an at adequate level for the climate your vehicle will be shipped through and to. This will prevent the engine block from cracking. Finding the right insurance for your vehicle to cover damages while it’s being shipped can take some time. However, if you have a collector’s item vehicle it’s the best possible way to ensure it has coverage when it’s being shipped. Always double check your vehicle before shipping it, and removed any loose articles from your car to prevent it being damaged during shipping.